Selected CV XE GIS project/application views in Texas. 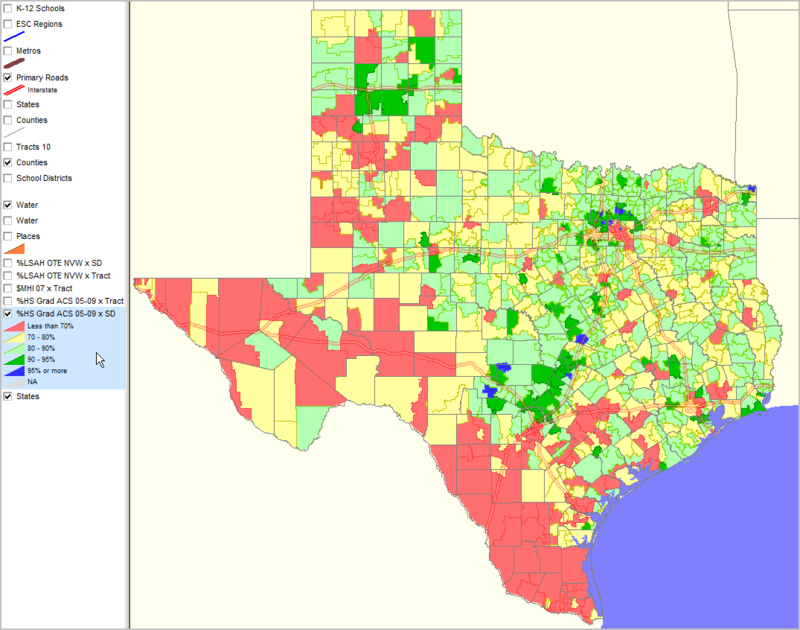 • Texas school district demographics: http://proximityone.com/tx_sdc.htm. 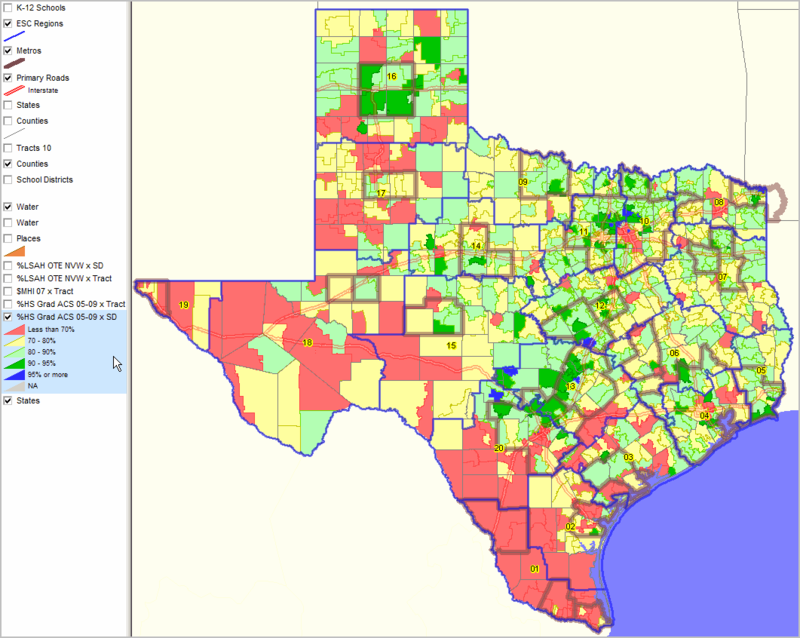 • Texas census tract demographics: http://proximityone.com/tracts11dp1.htm.